Please note before you purchase! 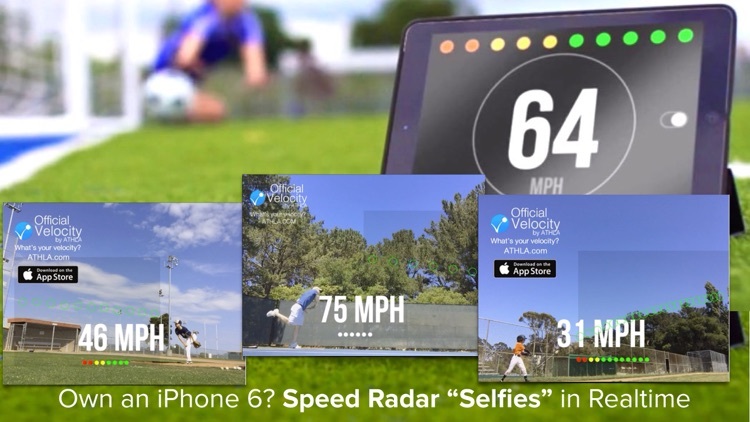 • Speed radar capability requires iPhone 5S or higher, iPad 3rd Gen or higher, iPad Mini 2nd Gen or higher needed. Athla Velocity is the only video radar that outperforms PocketRadar and matches a $1,200 Stalker II Pro Doppler. No longer do you have to tap the screen or ask a second person to hold your device. 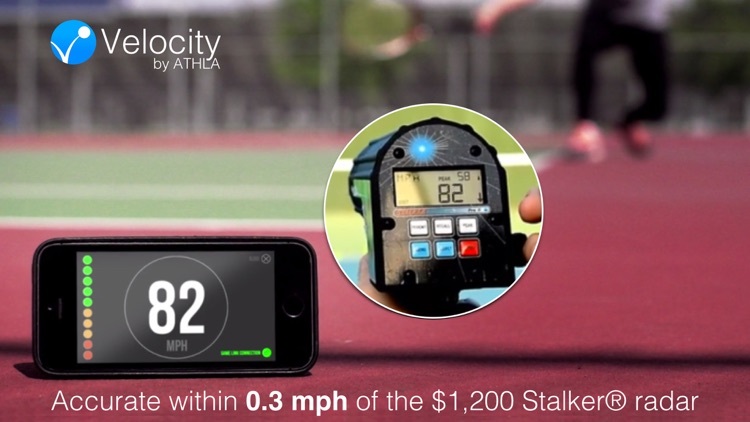 Velocity is the first video speed radar to work hands-free and calibrate within 0.3mph of a $1,200 Doppler. • Velocity Free Edition gives you free shots to begin. You can ask friends for additional free shots. • You can buy shots packs or entire radars. • Velocity Ultimate Edition unlocks all the radars for a single price. 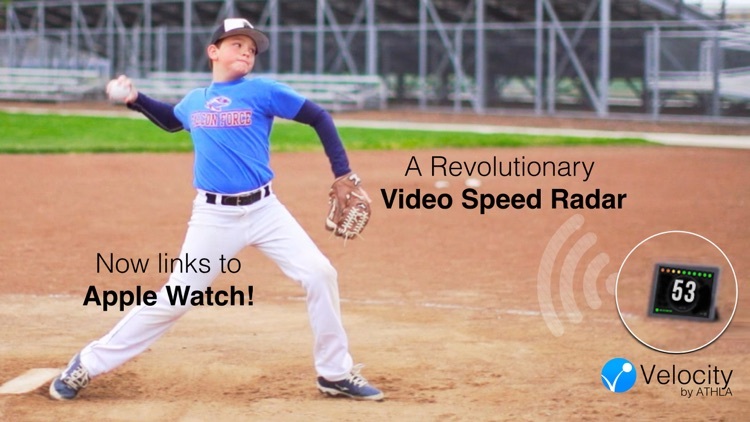 Transform your iPhone or iPad into a revolutionary video camera speed radar! 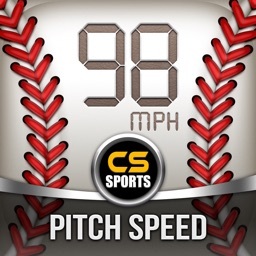 Audiences can download the Free version to connect and see your speeds from the stands. • Simply place your iPhone or iPad about 5 feet away and 20 feet to the side then kick, pitch or serve in-line and in-view of your device. 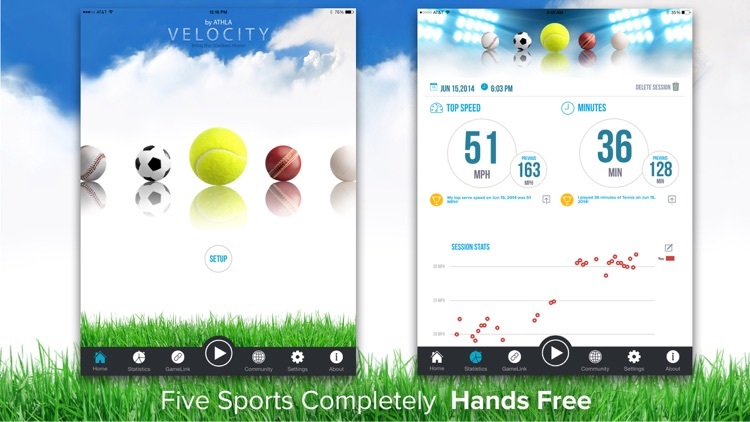 • Use Velocity on a field, rink or court, or simply in a backyard at home. • Velocity calibrates to within +/- 0.3 mph of the Stalker II Pro ® , a $1,200 speed radar used by over 30 professional teams. • The accuracy exceeds Doppler radars on balls with vertical trajectories. 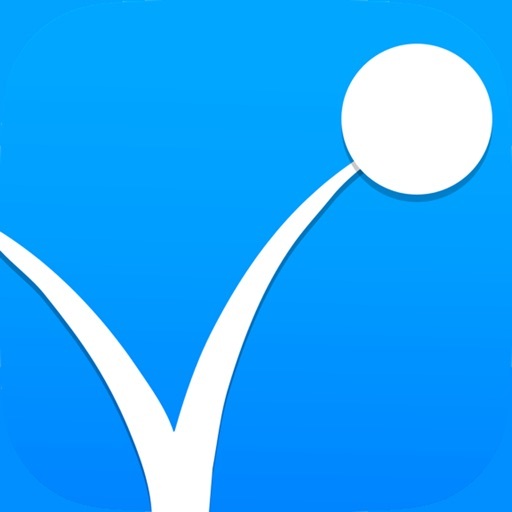 • Over 500,000 data points are trackable. Track your improving speeds across coaching sessions, the sports season, or across several years. 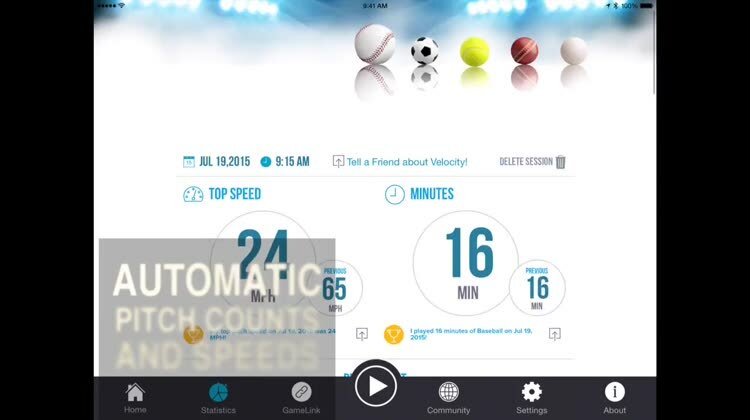 • Share speeds with coaches to show what you have achieved. 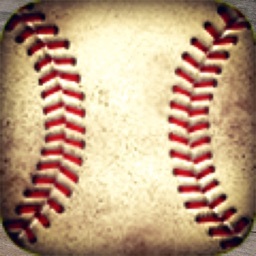 • Bring the stadium experience home to your own community. 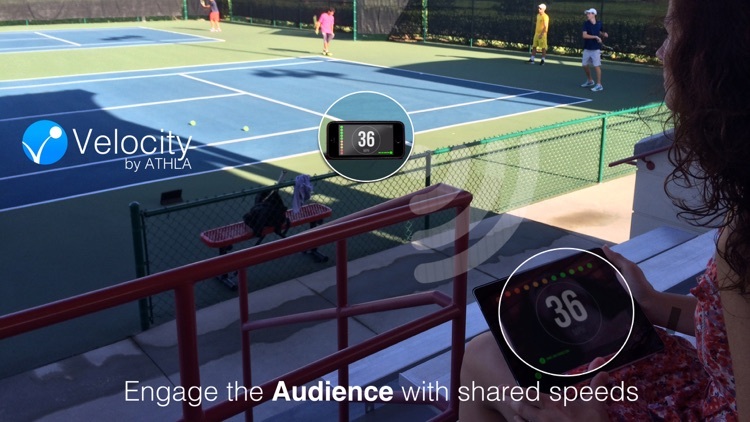 • Audiences can see the speeds as players practice or play similar to professional games. • Add Bluetooth speakers, turn on “Voice Announce”, and Velocity will speak the speeds to the team or an audience. • Optimized for outdoor use only. 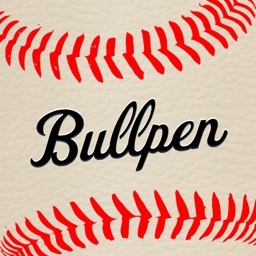 • 100 mph max speed for iPhone 5 and 5c.